You will teach on Bachelor's degree programmes and on the Master's degree programme in "Youth Welfare Service: Concept Development & Organisational Design" as well as on the online-based Master's degree programme in "Research in Social Work" at the Department of Social Work. Your teaching and research will focus on Social Work in the context of Book Eight of the Social Code (SGB VIII), specialising in "Educational Support". In this context, you will pay particular attention to theories and methodologies specific to the relevant field of action. It will also be second nature for you to deliver digitised courses, where applicable also in English. Your expertise is underpinned by a degree in Social Work, Education Science or a comparable university degree. You also hold a doctorate in a relevant subject, completed with above-average success. We can count on your professional experience with a reference to Social Studies. Ideally, you have extensive experience in teaching and are familiar with applying for and collaborating in research projects. Your portfolio is complemented by a network of institutions from the field. For this responsible assignment, we offer you a permanent W2 professorship, offering exciting tasks with flexibility in terms of time. We will provide support in the form of innovative teaching and research topics. To enable you to focus on your task, we ensure family-friendly conditions. You will receive the opportunity to implement research projects and externally funded projects at one of the most research-intensive universities of applied sciences. You can also look forward to a diverse range of opportunities to become involved in university self-government. 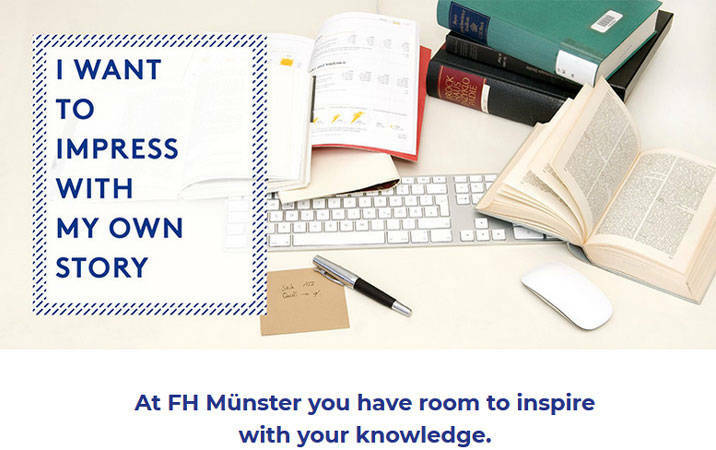 If you have any questions, please contact: Lisa-Marie Wosberg (lisa.wosberg@fh-muenster.de or +49 251 83 64429). Please refer to our website to find out more about the conditions governing the appointment and other information about the professorship. At Münster University of Applied Sciences, we take a proactive stance against discrimination and inequality, and promote diversity.